✅ Juperbsky is a professional gymnastic device manufacturer. We work closely with a lot of clubs and help many young gymnasts improve their skills and fulfill their dreams. 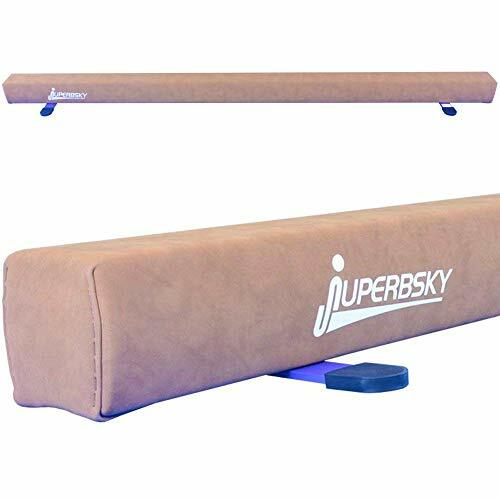 ✅Juperbsky balance beam is ideal for beginners, children who are looking to practice new skills. And also to be able to practice happily at home. 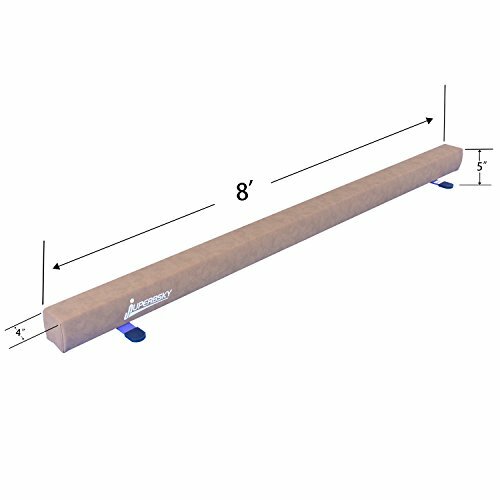 ✅A quality balance beam needs to withstand the abuse of countless hours of hard landings and drastic shifts in supported weight, which is why ours features a solid wood core with a suede outer layer and solid steel support beams. ✅It’s a traditional combination that lets young Olympians train in confidence during leaps, handsprings, and walkovers. After all, we know if you’re placing your trust in a platform that’s 4 inches wide, there’s no room for compromise in quality! We understand gymnastics equipment is an investment into your child’s future & happiness. We’re on a MISSION to help your gymnastics fanatic become the best they can by creating pro grade equipment at 1/10th the price – no questions asked! ✅TOP QUALITY. Competition grade 8 foot wood padded beam with suede cover for professional feel and finish. Solid construction, non-slip feet, and locking adjustments are committed to your safety. ✅COURAGE AND CONFIDENCE BUILDER. Because our beam is close to the ground, parents can feel safe letting their child try out tricks whether they are using it as a fun toy or trainer equipment for new skills. Great for any boys girls toddler and teen gymnasts. ✅COACHES AND YOUNG GYMNASTS LOVE. 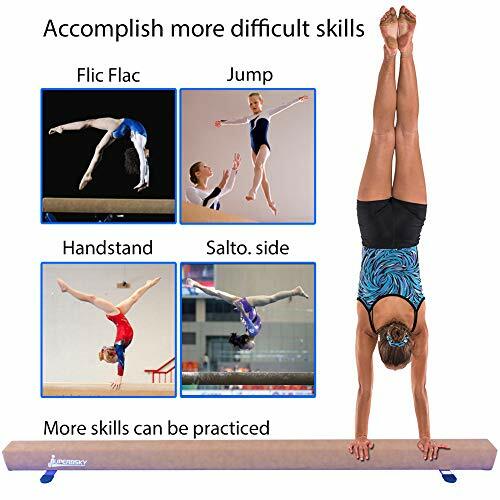 Juperbsky gymnastics beam is perfect for a child toddler or an experienced gymnast who is looking to practice new skills. Beginner gymnasts will get to learn new skills and experienced ones will continue to practice and become even better! ✅CORRECT LENGTH AND WIDTH. 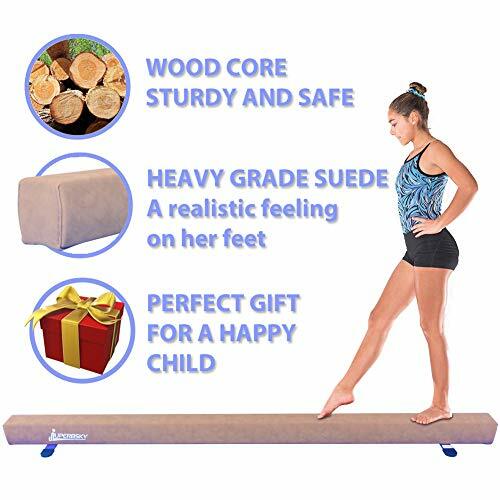 At 8ft long with a 4in balancing surface our junior gymnastics pad is a high quality low beam for girls looking to practice moves such as handspring, cartwheel, handstand, leap, jumps, walkovers, and kicks. ⭐⭐⭐⭐⭐BUY NOW WITH CONFIDENCE. If you’re not 100% satisfied for any reason, simply return your Beam for a FULL REFUND with no questions asked. Click the Add to Cart button now. You’ll be happy you did!